The Derriere Equestrian NEW Style DE SPORT Seamless Shorty 2017/18 has been designed to eradicate seamlines visible through breeches and ensure no rubbing, chaffing or abrasions are created due to stitched seams. The waistband is integrated into the design, without the addition of the DE Jacquard. 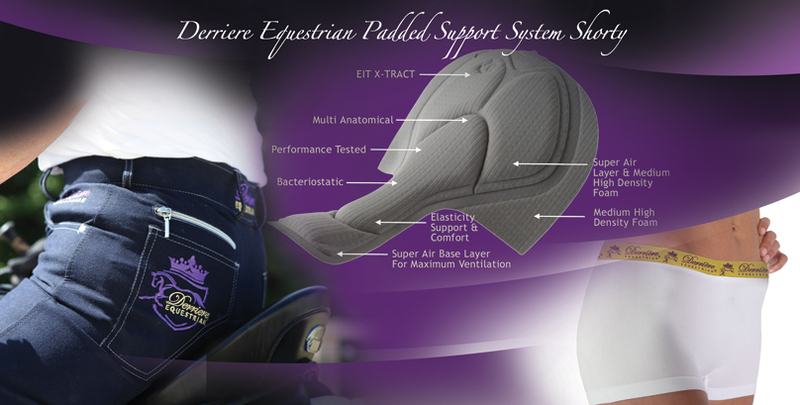 This ensures a fully stretch comfort fit through the waist & ensures no restriction or discomfort for the wearer. They are truly transforming comfort sports tech shorties. The technology used to design and produce the NEW style seamless shorty incorporates the use of single jersey electronic circular knitting machines designed by Santoni® for the production of seamlesswear. The garments are woven to form a tube within the design, removing the need for side seams and reducing bulky seamlines. As the end garment is produced from many singular weaves, the Derriere Team worked hard in the development of the finished fabric for the seamless shorty to ensure it is soft and strong to withstand sporting wear and use. 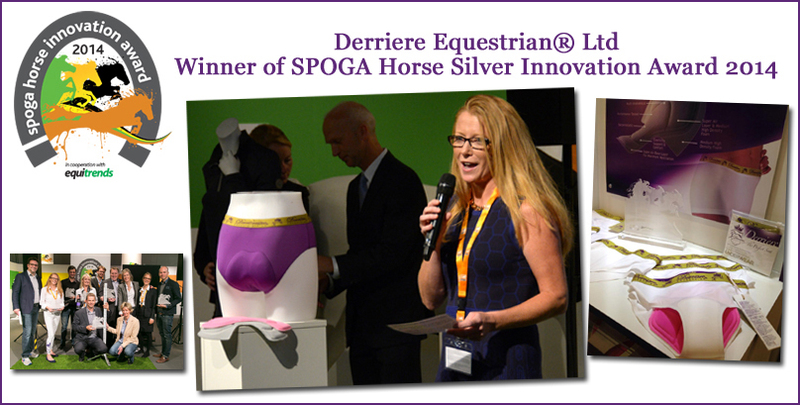 Derriere Equestrian® undergarments provide a style and quality second to none.